My travel blog was done as easily as buying a ticket. We love cooking together. We share recipes on our site with others. The place where we let our clients know about our work. Our system is simple, yet sophisticated. 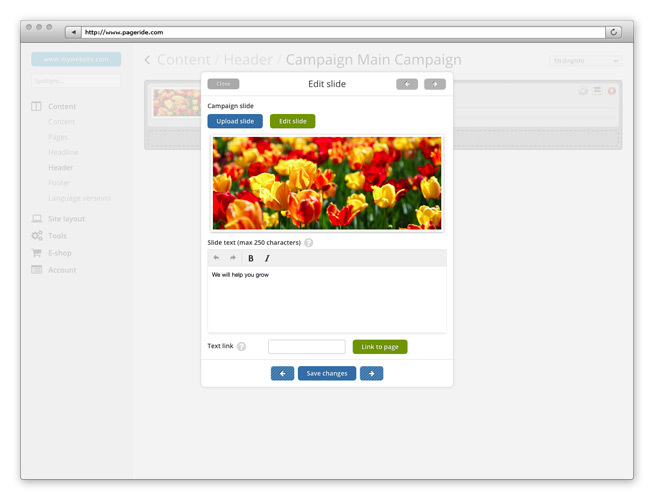 Our editorial system offers a transparent administrative environment with many functions. 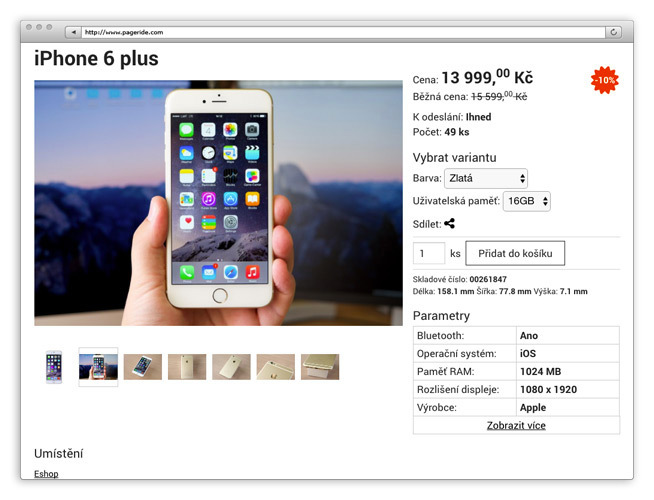 Building a website and e-shop has never been so easy! Since 2003 we have been taking care of all your wishes and needs. 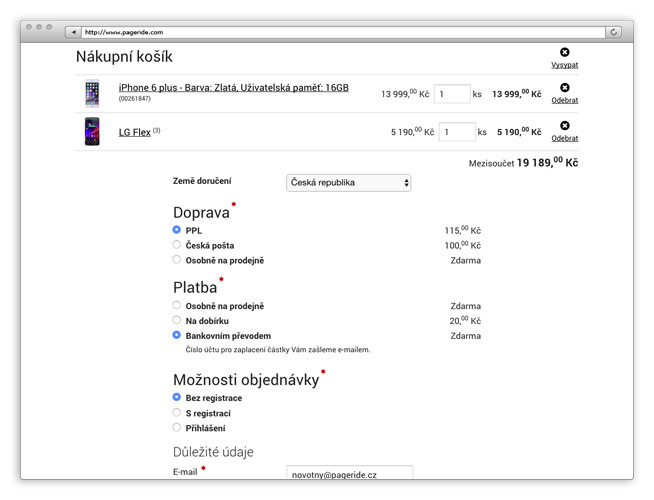 Simple websites, or sophisticated navigation structures? Choose your own way. 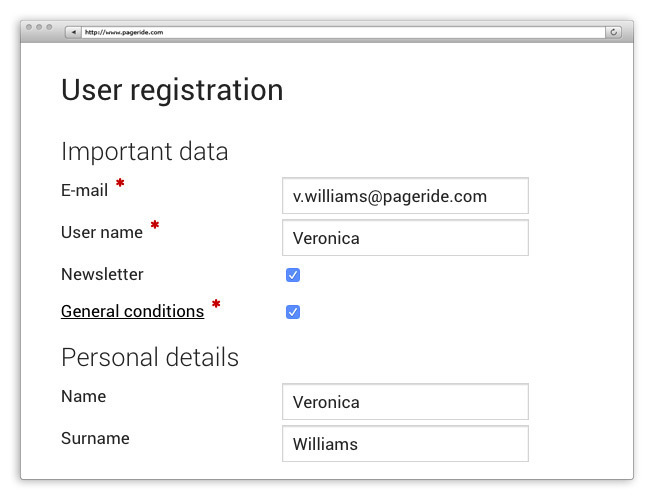 We can offer you not only designed templates, but also a means of keeping track of your visitors behaviour, or the possibility to distinguish users rights and granted access to administration and content. All of this is just the matter of few clicks. What is the aim of your website? You can configure the right solution from the thousands of combinations we’ve prepared for you. Credit system helps you to have your costs under control, and to work effectively with any change in your demands at the same time. 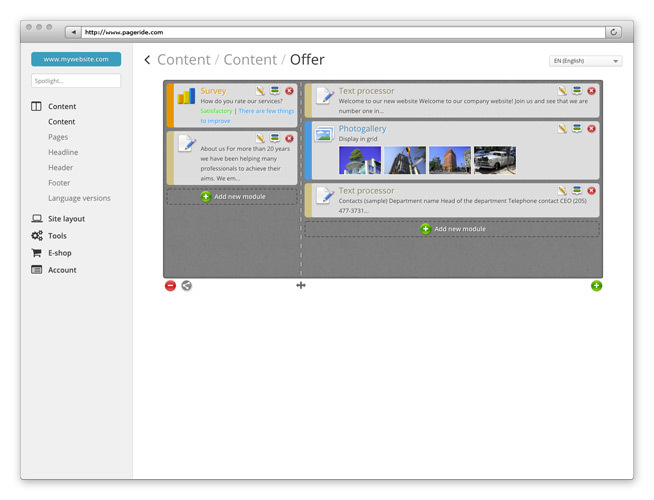 The wide range of modules for building websites is completely free. Drag and drop. It’s the easiest way to work with content and structure. You don’t have to know programming languages and you can build your website intuitively. We’ve used this method everywhere we could. You only need to enter a heading or toggle a switch. 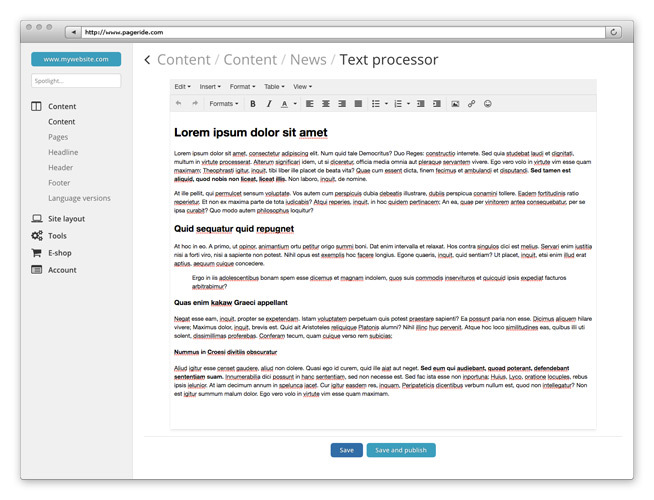 And you can quickly edit content by double clicking it. 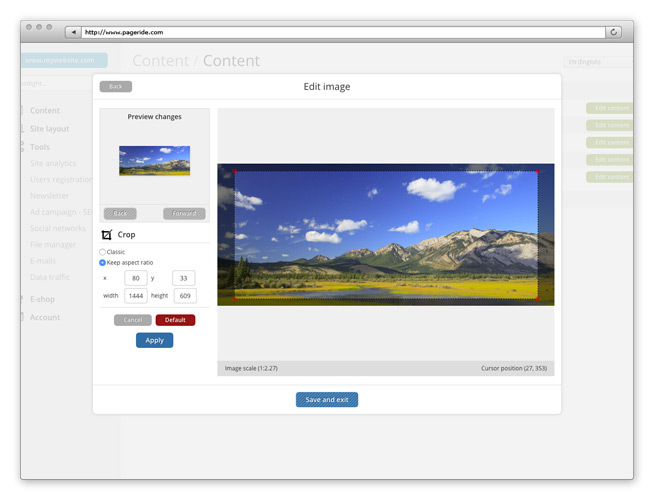 Have you chosen a template and do you want to use your own image in the background? Do you want a different text colour? No problem. Every template allows you to edit the number of parameters. All our templates are responsive. Which means that they adjust their layouts to computer, tablet or mobile. Do you own more than one website? Get them under one account. 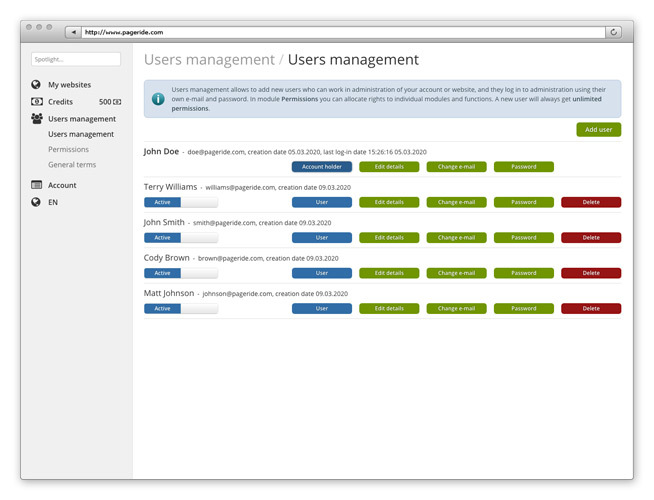 Our system lets you distribute access in your company and assign different levels of users rights to your colleagues. Use different ways how to edit images directly in the editorial system. You can change the size, rotate or make a cut-out. Or you can play with sliders and present your website with animated images and slogans. Allow users of your website to register and communicate with them regurarly through newsletters. Do you want to succeed abroad? 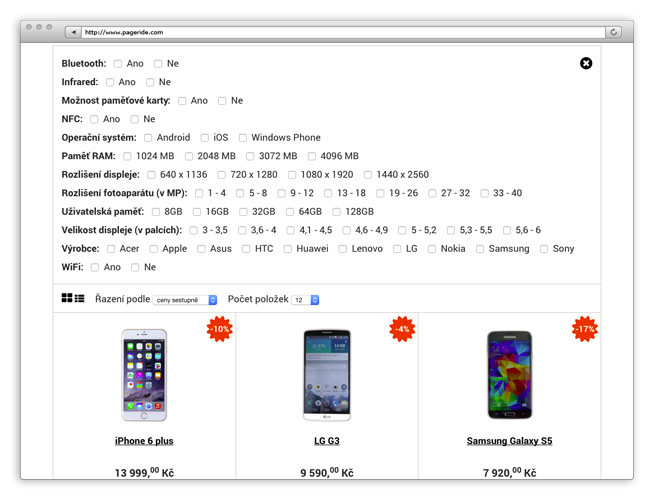 With us, you can make different language versions on your web or e-shop easily. Product variants, unlimited number of category structures, export for price comparison tools, product parameters possible to filter and bunch of many other user-friendly functions, which convince your clients to shop right in your e-shop. What is also important for us, is e-shop management, where we care about clarity and robustness. 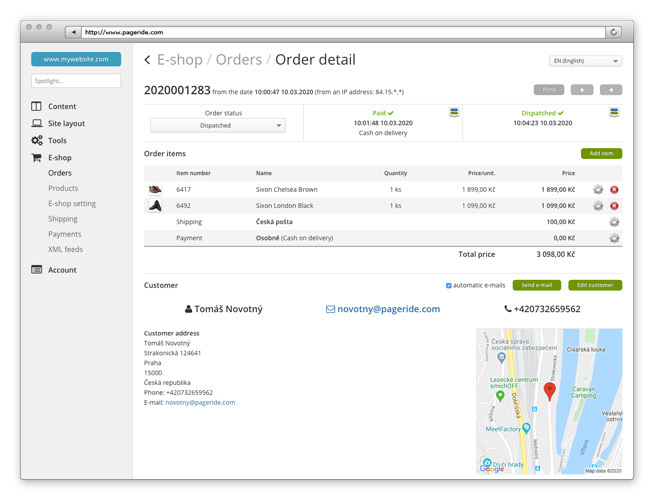 You can find bank details in your administration after you make your order. Please send your queries only through Contact form. We will reply as soon as possible.